Of late the principal of Loreto Convent school is in the habit of sending late SMS’s that school function on Saturday. This is to compensate (indirectly) for a day’s school function or activities during the week. Does the principal realize that even the government declares Saturday as a holiday? Therefore I fervently request the school to please respect the sentiments of those who treat Saturday as a Sabbath day – a day where working parents need a break in order to attend to other important assignments such as marketing, household chores etc. More importantly its a day when a child needs rest as well. We live in a busy environment and many of the working parents keep Saturdays and Sundays as a day where we fulfil all or any important assignments that were kept pending during the week. Telling us that school will get over by 12 is as good as spoiling the entire day’s plan. As concerned parents we hope that the school will have a broader look into this aspect and start respecting the sentiments of others as well. Earlier, underground water sources were very common in Shillong but now many such sources have dried up due to different reasons. Of the underground water sources in Shillong, one is in Wahheh, Mawpat but the quality of the water has deteriorated. The Wahheh source is being used by about a hundred residents in the area and by the BSF, for drinking and other domestic purposes. But for the past many months the area near the source is polluted by those who wash their vehicles there. Daily, numerous vehicles are washed in the road near the water source throughout the day. All the garbage too is dumped in the area. There is no proper drainage to drain out the dirty water so it remains there and pollutes the drinking water. In Wahheh there is separate place for washing clothes and taking bath, but some people used to wash their clothes directly from the drinking water pipeline so all the detergents and shampoo remain clogged there because of improper drainage facilities. Some people empty their garbage including used diapers near the area. All these bad practices will contaminate this groundwater source even as the premises are very unhygienic. The matter was brought to the attention of the Headman of the area several times but he has taken no initiative to solve these problems. To prevent further pollution in and around the water sources, I request District authorities to put in measures to control these practices so that water sources are protected and the environment too is safeguarded. I am very disappointed to see that the sentences in my letter to the editor have been edited without my consent. I have no intention to tarnish the image of the Education Minister or anybody for the matter. I only responded to what was written by Partha Pratim Sengupta on September 4, 2018, “Teachers Day”. The sentence was originally responded and written as “ I also fail to correspond to what is expressed in the column that “Teachers are teachers are teachers by default….” but it was edited and the words added were, “I fail to understand what the Education Minister means by saying that teachers are teachers by default…” I truly believe that the editor has no right to play around with what the public wish to express in newspapers. I shall forever be disappointed with this thoughtless act from your end. Editor replies: When a writer wishes to respond/react to a letter that has appeared in these columns then he/she should cite that letter in particular, the date on which it as written, the caption of the letter and the name of the writer. 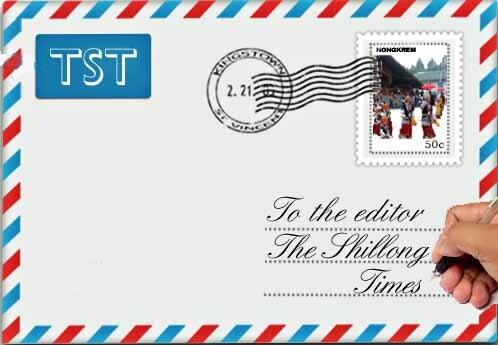 Your letter did not mention the name of Partha Pratim Sengupta. Hence it was rather vague and without any reference point. The editor has every right to edit a letter or article submitted to this publication especially if it has a personal slant or is an assault on a person’s character and dignity.